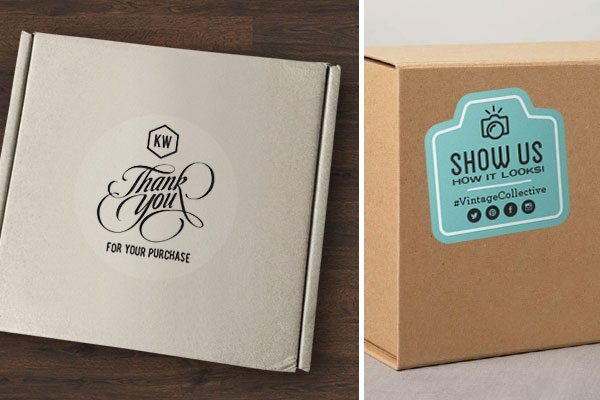 Creative packaging lets ecommerce sellers convey their brand to buyers in a share-worthy unboxing experience. Fully-customized packaging is pricey, but many creative packaging ideas are very economical. Logo stickers, printed inserts, paper sleeves, and tie-on tags are just a few creative packaging examples that deliver plenty of bang for just a few bucks. But first, if crafting a custom packaging program yourself seems daunting, consider using a fulfillment company. Fulfillment companies are experts in packing and shipping ecommerce orders and most offer custom box printing services. Plus they can handle all of your inventory storage, order packing, and shipping needs if you’re looking for a turnkey solution. Visit FulfillmentCompanies.net to learn more. Creative packaging comes in all sizes and shapes, but most of it centers on a few main factors: shipping boxes, internal packing or fill materials, and embellishments. We’ll explore each of these important elements below and show you how to put it all together as a memorable whole. Inserts and filler materials complete the custom packaging look. You can combine printed boxes with any number of fill items, like insert cards, branded inner-packs, and logo-printed tissue. Even if you ship in plain boxes, a few custom fill elements can convey your brand to your buyers, whatever your budget. Custom tissue paper is an inexpensive way to convey your brand in a memorable way. With noissue tissue’s simple online design tools, you can design tissue paper using your own logo or any custom design. Prices start at 12¢ per sheet, and shipping is free. A logo and brand identity that are designed to be used across many applications is the key to pulling off any kind of custom packaging. You can design one yourself, but too often, a do-it-yourself logo doesn’t translate well across all mediums. If you’re serious about building a distinctive brand, it’s a good idea to go with a design pro from day one. 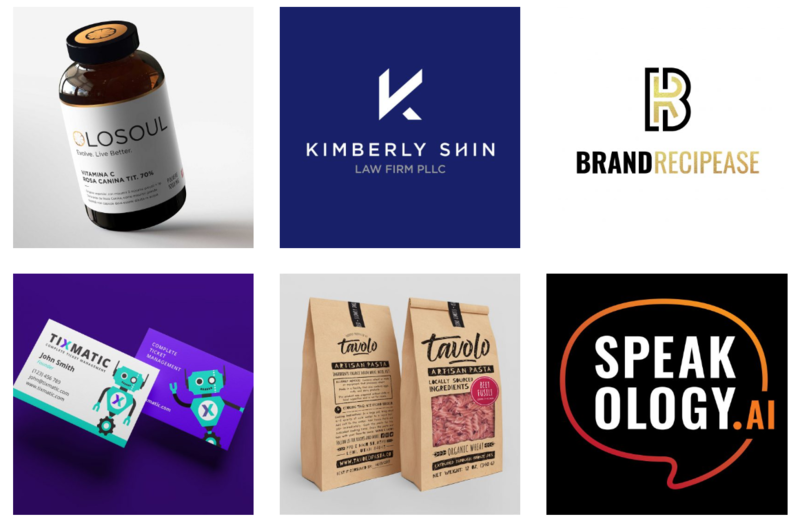 DesignBro has a stable of seasoned logo designers who know how to create an overall look that works across all types of print products, as well as your website, letterhead, and other marketing products. DesignBro logo and brand identity packages kick your business off with a professional, lasting image designed to grow with you. 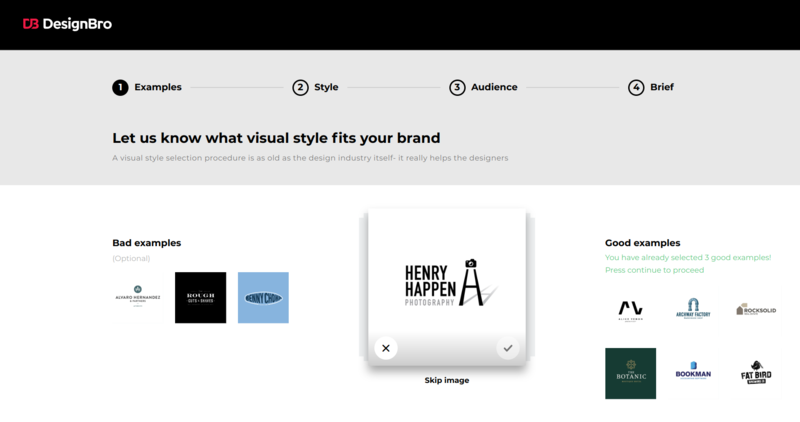 DesignBro gets right to the point, too, by walking you through a free online design brief to identify the brand image you want to achieve. DesignBro’s online style brief ensures that the logo, brand identity, or custom packaging designs they submit meet your image expectations. 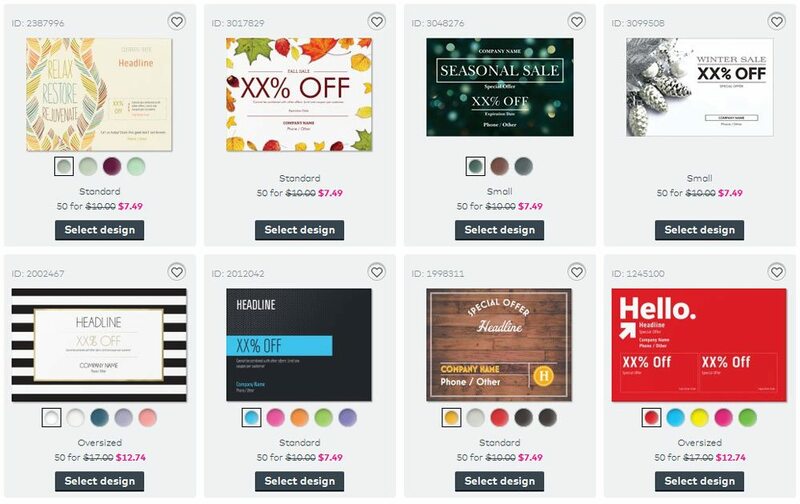 DesignBro offers three packages to meet every design need and budget. Custom logo packages start at just $199, or get a complete brand identity package from $399. 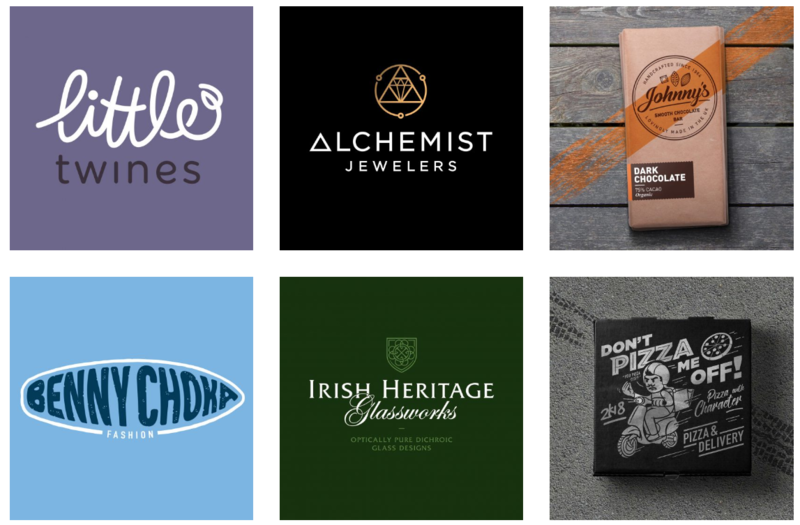 If you need a fully-customized packaging solution, DesignBro delivers for $499. Complete your design brief to get started today. Custom-designed shipping boxes, economical printed stock boxes, and budget-friendly box stickers provide a great starting point for branded packaging. Here’s a look at the many ways you can brand your ecommerce shipments with both custom-printed and stock boxes—plus costs involved, where to get started, and some things to consider. 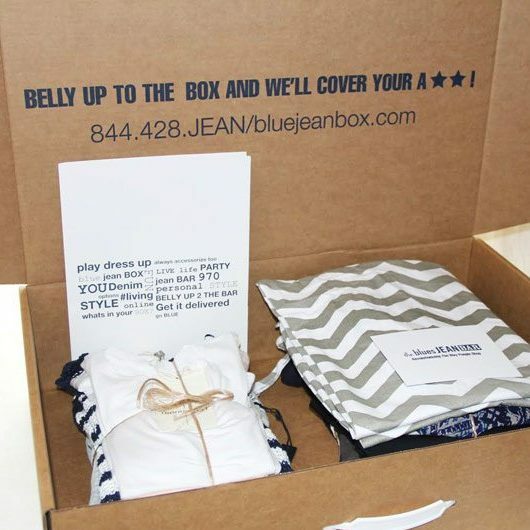 Online sellers like TrunkClub and BlueJeanBox pack and ship orders using printed custom boxes that instantly brand the unboxing experience. A fully-customized packaging program creates a memorable moment in the purchase experience, and is worth the cost for upscale items and specialty brands. TrunkClub’s bespoke-inspired packaging conveys the brand’s upscale menswear experience from the moment it arrives on the customer’s doorstep. Customized boxes are the primary element in a brand-driven unboxing experience like this. Custom boxes are costlier than printed stock boxes, but for certain brands, are well worth the impression left on customers. Along with delivering a branded message every step of the way, custom box and packaging solutions are designed to fit your exact needs. 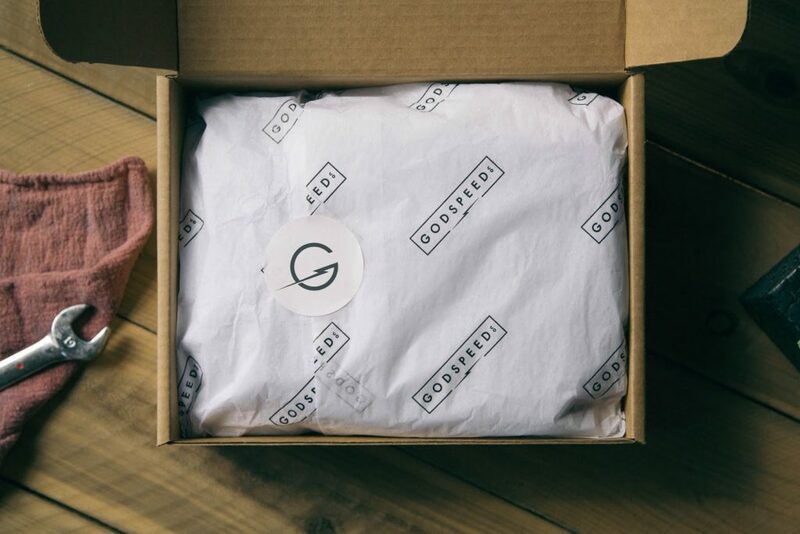 Custom-Designed Shipping Boxes – Start this off right with a custom packaging solution from DesignBro. Customized Internal Packaging – Printed tissue and other creative packaging elements deliver a completely branded look. Thoughtful Inserts – Hand-written thank you notes signed by packing staff to bulk-printed thank you cards with discounts off the next order—don’t miss this touch point. If you ship in just a few box sizes, stock boxes printed with your logo can be cost-effective alternatives to fully-customized boxes. Budget-friendly stock boxes are printed only on the outside—and usually in just one color. Budget-friendly printed stock boxes like these can convey all types of branded looks. With printed boxes, you may not need many extra internal packaging embellishments like tissue, ribbons, and stickers to convey your brand. However, a few added elements can embellish the branded experience for pennies. Adding plain or printed tissue paper box liners, shown above, to stock shipping boxes delivers a branded look when customers open their order. Logo-Printed Stock Shipping Boxes – A professional logo from the pros at DesignBro dresses up any stock box. 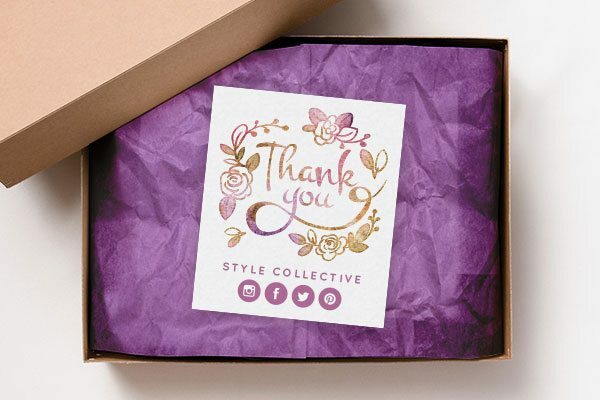 Budget-Friendly Inner Packaging – Custom-printed tissue can be worth the splurge, or add economical tags or embellishments, which we cover below. Promotional Inserts – Inexpensive postcards from Vistaprint do double-duty as a thank you with a promotional deal to encourage another purchase. If you find printed boxes too costly, don’t get frustrated. You still can deliver a memorable creative packaging experience to your customers. It all starts with inexpensive logo stickers. Adding these to plain stock boxes and mailers delivers plenty of bang for just a few pennies per box. Economical logo stickers are an easy way to turn any stock box into branded packaging. Here’s how to combine sticker-embellished stock boxes with budget-friendly embellishments to get a branded look for pennies. 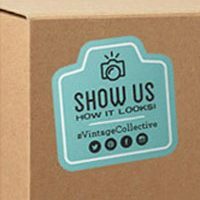 Add Logo Stickers Shipping Boxes – Make your own logo if your budget is tight, or splurge for a professional look from DesignBro to launch your brand, and print eye-catching stickers at Vistaprint or StickerYou. Use Budget-Friendly Inner Packaging – Logo tags, stickers, and other simple flourishes finish off creative packaging for just pennies per order—see how below. Thank You Notes – A quick handwritten note is as memorable as a fully-customized program—sometimes more so. If you’re on a tight budget, just pop in a quick thank you to add that personal touch. Fully-customized boxes can be costly. Custom packaging companies tack on additional charges, including artwork setup and cutting dies, for specialty box sizes. Some of these, like artwork setup, are unavoidable on most any print job. But you should always ask if there is an existing stock box that’s close to your needed size to help save on die charges. To avoid unnecessary expenses, enlist the help of a packaging design pro, like those at DesignBro. Plus, always get a printed sample proof before approving the job for production. Custom printing has minimums, too. Some can be as high as 1,000 units, but your per-piece cost drops with higher quantities. If your budget and sales forecasts can support a larger print run, it can drop your per-box price dramatically. If you ship in a wide variety of boxes, printing boxes in all needed sizes can be cost-prohibitive. Printed stock boxes or logo stickers are more economical and flexible for these shipping needs. Looking for a total turnkey solution that includes custom boxes plus fulfillment services for stock storage, order packing, and shipping? Fulfillment companies can help you develop a custom packaging program, store your products, and pack and ship your orders. Outsourcing fulfillment leaves you free to build and market your company since you’re not handling the daily shipping tasks. 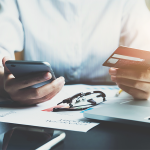 Outsourcing fulfillment has its costs, but compared to product storage, hiring employees, and the time spent managing it all, it can be a more cost-effective solution than running your own warehouse. Plus, you’ll benefit from the fulfillment company’s expertise in developing custom box programs and possibly save on printing costs through their vendor relationships. Check out FulfillmentCompanies.net to find the best fulfillment company for your small business. Creative packaging ideas really come to life inside the shipping box. Below are some creative packaging examples that communicate your brand as soon as your customer opens their box. Try just one of these creative packaging ideas if you’re on a tight budget, or combine several to deliver the total package. Extend the unboxing experience with branded custom inserts, product tags, and logo stickers. Adding a handwritten thank you note or signing your name on a pre-printed card costs next to nothing and takes just seconds. But this personal touch can be just the thing to make your customer remember you the next time they’re shopping. In this hectic, impersonal day and age, it might even impress them so much that they share their experience via social media. Printing a personal thank you card costs just pennies and adds a memorable touch to any shipment. Thank you note cards can do double-duty as care instructions, coupons, and special offers, too. Try printing a coupon or special offer on one side, then adding your personal thank you on the reverse. You can print postcards from your own printer using laser or inkjet postcard blanks, or try customized postcards, shown below. 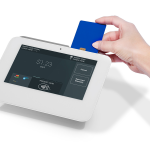 Vistaprint offers more than 800 customizable insert card designs and 50 full-color postcards that start at just 20¢ each. Remember: Printing costs per piece drop dramatically when you print higher quantities. For example, at Vistaprint, you can typically print 50 postcards for about 20¢ each, but 500 of the same card cost just 12¢ each. Consider this when you design your offer. If you can make it “evergreen,” with no expiration and a year-round design, you can print more and save money. Good evergreen offers include Free Shipping at a certain order value, like “Free Shipping on Orders Over $75,” or even “$5 Off” a certain order value. 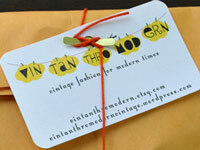 A finishing tag with a flourish of ribbon or cording adds a visual element that, quite literally, ties it all together. 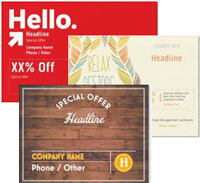 Attach a printed logo tag, a signed thank you, or special offer to complete a memorable look. You can print these yourself using your inkjet or laser printer, or have them printed. Add tags to plain and specialty bags like these from Nashville Wraps or at your local craft and office supply stores. Remember: Printing costs drop dramatically when you print higher quantities. For example, at Vistaprint, you can typically print 100 business cards for about 16¢ each, but 500 of the same card cost just 4¢ each. You’ll often find great deals on business cards. Bagged items and sets are easily branded with inexpensive printed logo stickers and labels. And there are more bagging options than clear plastic. Try Kraft paper bags, frosted or colored plastic bags, and specialty gloss or metallic sacks to create a branded packaging experience. Versatile logo stickers add instant pop to plain paper and plastic bags. Remember: Sticker and label printing costs per piece drop dramatically when you print higher quantities. Other factors that can affect cost are label size, shape, and whether they’re printed on rolls or sheets. Sheet labels offer more shapes and finishes than rolls, so they’re typically more expensive. StickerYou specializes in highly decorative die-cut stickers perfect for any look. For example, at StickerYou, both the type of label and the quantity affect pricing. Rolls labels offer some creative shape options, like the image above on the left. But fancier cuts like the label on the right usually require sheet labels. Logo stickers paired with tissue wrap or inner boxes can add a finishing touch to your packed goods. Use inexpensive logo stickers to secure tissue paper over packed goods and to embellish plain product boxes. 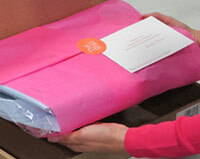 Or, use secure packing slips and inserts inside your box, so your logo is the first thing your customer sees. Tissue paper wrap is an inexpensive way to embellish inner packing, or inner boxes with stickers can add protection to more fragile goods during shipping. Add creative packaging pop for just pennies with custom-printed tissue from noissue. Prices start at 12¢ per sheet—create your look today with their simple online designer. Remember: Package size and weight impacts your shipping rates. Inner boxes are protective, but can add weight—but a few sheets of tissue paper won’t tip the scales at all. If you splurge for custom-printed tissue, your per-sheet costs drop dramatically with larger quantities. Creative packaging ideas can drive a branded look on any budget. Eye-catching custom packaging delights—inside and out—but it’s not right for every business. Economical custom packaging solutions just take a little time and planning—plus a few creative packaging ideas like those explored above. The keystone element of creative packaging is a great logo. You can design one yourself, but the pros at DesignBro will deliver a look that truly defines your brand. You can even take it to the next level with a brand identity plan or fully-customized packaging. Get started with DesignBro today to get the look you really want, on time and on budget. amazing post! it’s very helpful for us. I really appreciate your work. thanks for sharing such beautiful information with us. Hi there, I am looking into companies to create a creative mailer for about 30 boxes – which will be distributed to celebrities at the end of March. We would like to create custom boxes. If someone could please get back to me to discuss your capabilities, that’d be great. We don’t provide that service here, but I did review some top suppliers for exactly what you’re wanting to do. Here’s the full custom box buyer’s guide article, but for a high-quality, low-quantity custom mailer run, I think Packlane will be able to help you out. They even do rush orders. Good luck and let me know how it all turns out. Could we please be added to your email disti list? Sure! I’ll forward this to our email team.